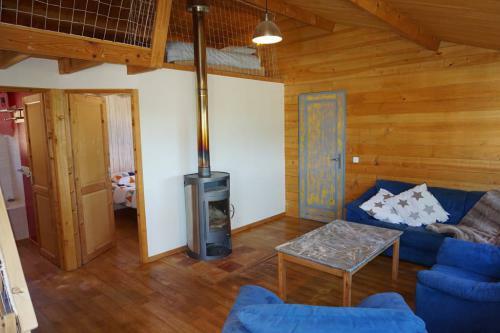 Charming wooden chalet with private heated pool and fabulous views! Peace and quiet guaranteed! 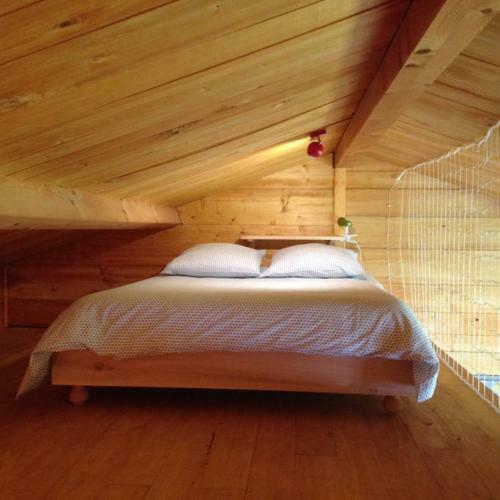 "La Bonne Etoile" is a wooden chalet with a surface area of 95m². 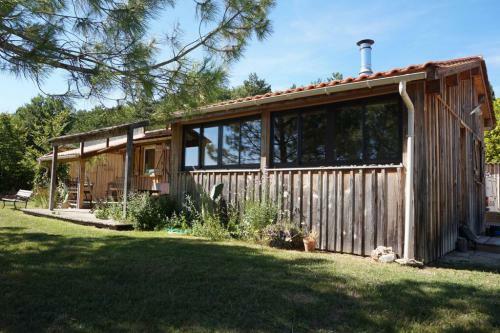 Pablo, the owner, is a fan of nature and ecology and the house is the proof! 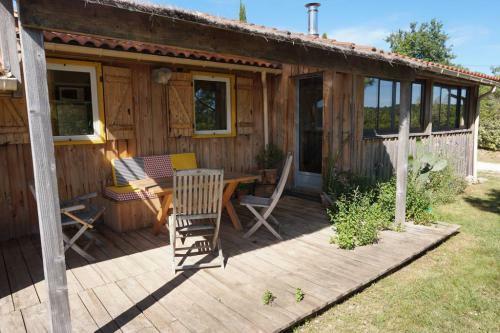 Situated south facing, it is luminous and cosy. 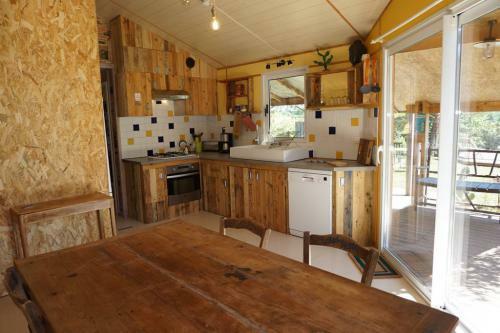 Natural materials have been used throughout and it offers spacious and comfortable accommodation for up to 8 guests. 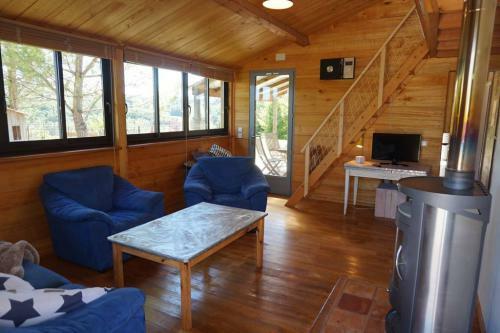 * A spacious living room, with a sofa, armchairs, coffee table, flat screen TV, and a wood burning stove. Windows run the length of the room, overlooking the pool, garden and panoramic view beyond. 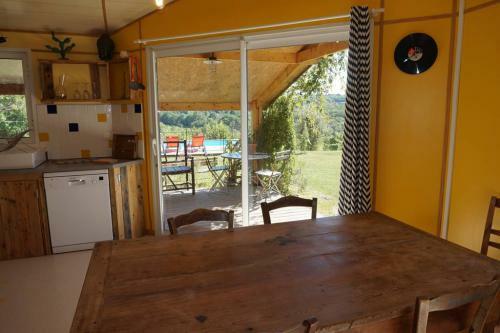 * A large dining kitchen, with electric oven, gas hob, dishwasher, coffee machine, toaster... A solid wooden dining table seats 6 and french windows open directly onto the covered terrace. 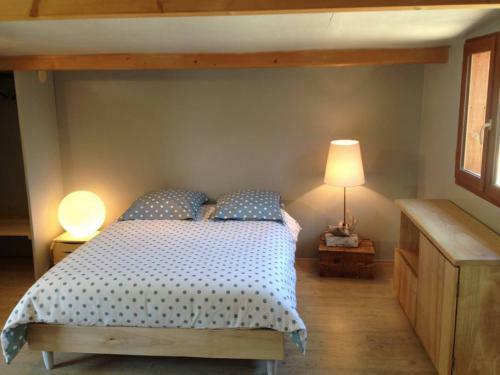 * A first double bedroom with double bed, bedside tables and lamps. 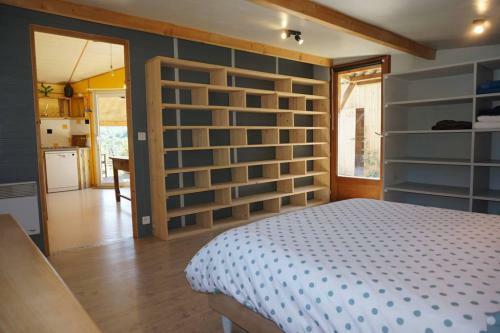 * A second vast double bedroom with bedside tables, lamps and a huge built in dressing area. 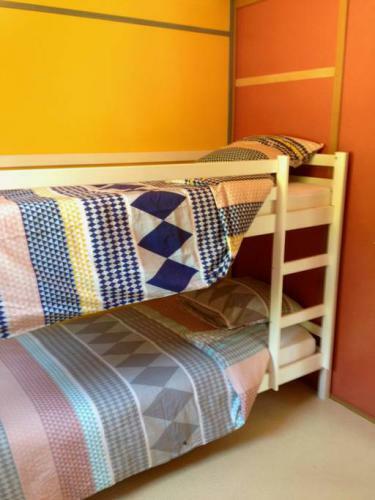 * A third bedroom, ideal for children, offers a set of bunk beds. 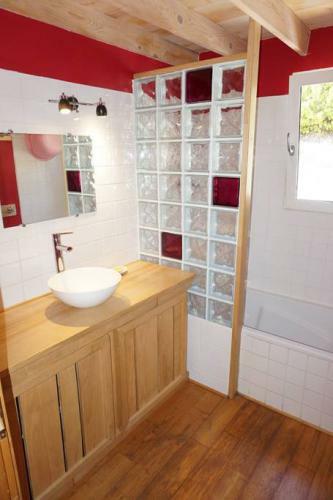 * A bathroom with bath and shower over, and washbasin. * A separate toilet completes this floor. Situated above the lounge, a mezaninne offers a double bed, nestled under the eaves, and accommodate two extra guests. 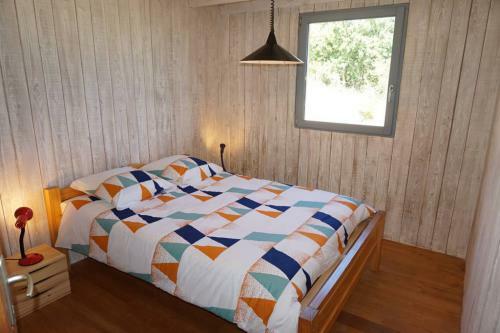 Bed linen and towels are included in the price, and there is internet access on WiFi throughout the property. The house is set in the middle of its private grounds of more than 2000m². 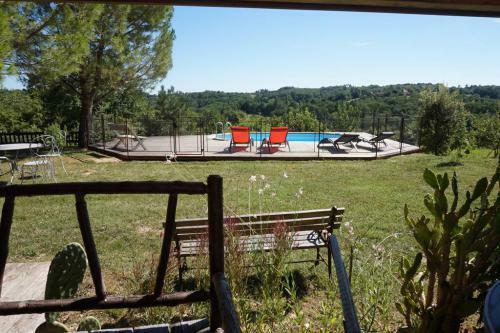 * A private pool, heated from May to September, measures 6m x 4m, and has a depth of 1m20. It is completely fenced for the safety of our younger visitors.It has sun loungers and parasols for relaxing whilst enjoying the view over the surrounding countryside. * A lovely covered terrace is the ideal spot for al fresco meals - it offers a wooden table, bench and chairs. 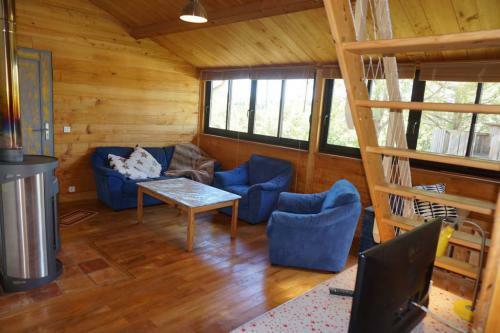 * a children's play area under the pine tree with wooden cabin and slide. 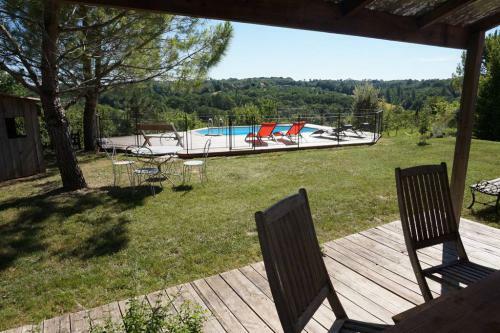 Situated just 5kms from the pretty village of Castelnaud, where you will find the famous castle, pebble beaches along the Dordogne river, and also several shops and restaurants, including an excellent boulangerie/patisserie! 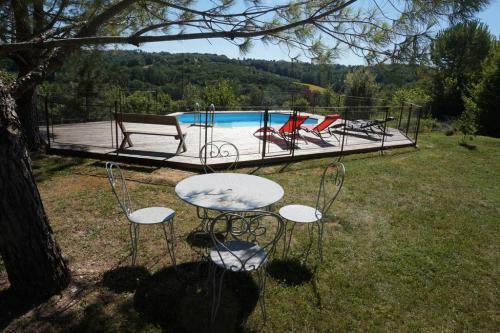 All of the must see sites of the Dordogne and Vezere vallies are within easy reach. Pablo will be delighted to give you advice when he welcomes you to his home! The Bed linen and towels are included into the price. - Remainder to be paid 4 weeks before arrival.